On the shelf at Foyles, following a little manual readjustment. Feeling quite good about nestling beneath the mighty Paris Review and beside Granta on the shelf at Foyles! If you’re in the hood check out the gleaming selection of literary magazines on the first floor of the Foyles flagship on Charing Cross Road. Then buy a copy of Shooter, of course. 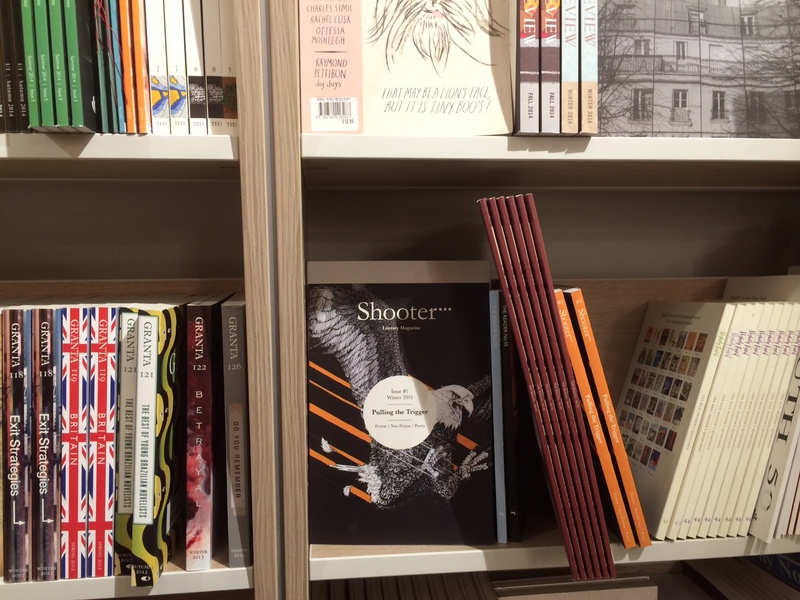 Shooter is a literary magazine featuring entertaining, well crafted stories and poetry from up-and-coming writers, showcasing original artwork on the cover of each issue. 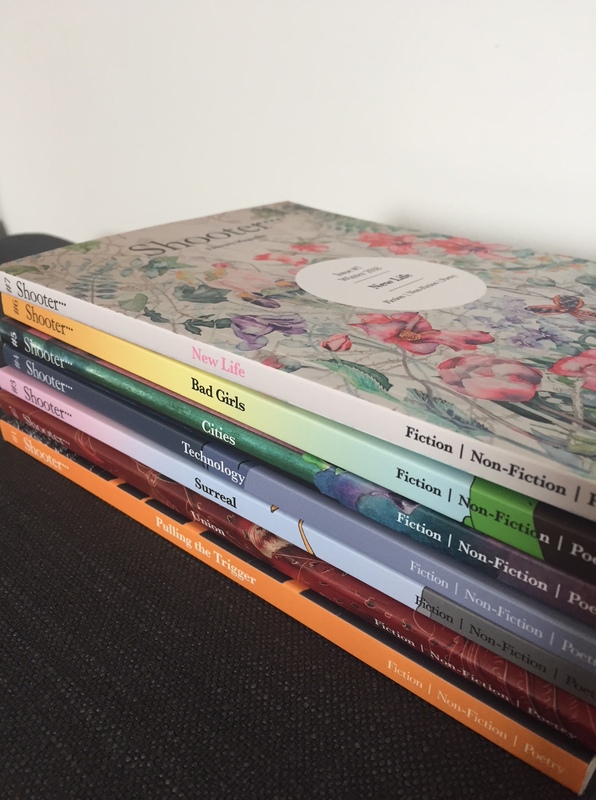 Unlike most literary journals, we make a point of paying our writers and artists, believing that creative work deserves financial reward. As Shooter grows, so too will the amount that we pay our contributors. When you subscribe to Shooter, you support writers and artists at the outset of their careers: a crucial time when recognition can make a huge difference. If you enjoy great writing, please support the next generation of writers and artists by subscribing. And if you like what you read, please spread the word via Facebook or Twitter.